Whether you’re trying to find the perfect gift for your friend getting started in video or whether you need a list of video gift ideas for yourself, we’ve put together the ultimate Video Gear Gift Guide, packed full of gear to up your game. Read on to the end to see how you could WIN one of these packages for you or for a friend! Our own VP of Content Strategy, Jason Sheffield, uses this webcam for the videos he records in his office, including our weekly show, The BombCast. It shows off a wider view so he can incorporate multiple guests. It also handles low-light situations better than your built-in webcam. You could have a great quality video but if the sound is bad, your viewers will notice right away. Keep your video AND sound high quality with this USB Microphone. This is also beneficial for those wanting to turn their videos into podcasts! Camera lighting is a hard thing to get right. Though natural light can be best, sometimes the lighting isn’t great during the most convenient times to shoot video. A simple desk light like this one can dramatically improve the quality of your video. This is a great gift for someone who’s too embarrassed to buy a selfie stick for themselves. We all may joke about selfie sticks but in reality, it can help stabilize your videos, and gives you the ability to record a wider area and put yourself into a scene. This tripod can be really handy in all sorts of situations! It has flexible legs so you can wrap it around different surfaces while you take your video. It’ll also help you stabilize your phone, so your video isn’t shaky. If you’re taking a home tour video and trying get everything in a shot or if you’re simply trying to fit multiple people in the frame, this will solve your problems. Sound is important – especially if you’re not filming in your quiet office space. Keep this camera mic handy to improve your sound – no matter where you’re filming. The DJI Osmo is like a selfie stick but takes things to the next level. Your videos will be smooth and perfectly stabilized when you use this gimbal. One important thing needed for a studio set up is a good tripod. This one is great because it’s lightweight and can easily move from room to room if needed. This is a must have for anyone recording evergreen videos in their studio. If a video is going to be used again and again, it should have great sound – and this mic will do the trick. Most video pros would be thrilled to get this great studio light set up. Natural lighting changes throughout the day so this ensures you’ll always have great, professional lighting! This mic is so convenient for video on-the-go! It’ll ensure quality sound even when you’re walking around outside filming your videos. External lenses can make such a big difference for your videos! A lot of video pros will use a wide angle lens to fit more in the shot. The micro lens can be used to get high quality close up shots for B-Roll. 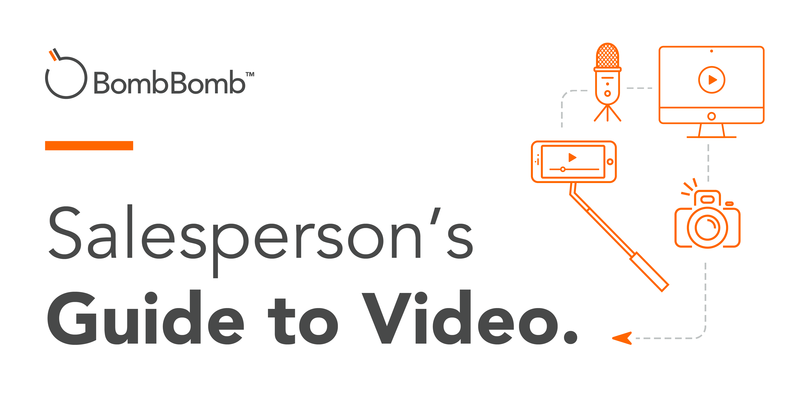 Give the gift of a learning experience and buy a ticket to BombBomb’s FIRST Video Influencers Summit, REHUMANIZE! On May 8-9, 2019, a first-of-its-kind event is coming to the heart of Denver – a video summit to help real estate and mortgage professionals Rehumanize their communication, their sales process, and win more business. Do you want a chance to win one of these packages for you or a friend? Head to this Facebook Page Post and comment for a chance to win! We’ll shoot you a Facebook message to see which package you’d love most. The winners will be announced during a Facebook LIVE event on December 20th.